As the calendar moves to a new year it’s a good time to look back and a time to look forward but that old trope - out with the old and in with new - really can't apply to architecture and planning. There might be a great buzz as a new building is finished and opened - this year in Copenhagen it was Axel Towers opposite the main entrance to the Tivoli Gardens designed by Lundgaard & Tranberg Arkitekter that won a popular vote for the best new building in the city and the new BLOX building down on the inner harbour designed by the architects OMA that opened in May that caused most 'buzz' - but buildings take years to evolve and major planning decisions take years to resolve and their impact can last for decades if not centuries. I wonder how many merchants in 1618 muttered and moaned about how difficult it was to get their boats in to the old wharves along Gammel Strand now the King was doing all that work around Holmen and as for those fancy new warehouses on the other side of the harbour emerging out of what was open water … well who could afford those prices and wasn’t it a pity to have lost that nice view across to Amager? But back to 2018. Particularly towards the end of the year - there was what seems like a rush of planning decisions in December where some major schemes have been put on hold and some, that were apparently abandoned, seem to have been resurrected. If New Year is good for anything then it's as good a time as any to reflect and reconsider. The BLOX building is a good example. I find it really really difficult to like the building and I'm certainly not alone. It's not a bad building as such but with hindsight - yup that wonderful thing hindsight - I'm curious to know if that project was starting right now, rather than in 2005, when the land was purchased, would Realdania and DAC be sketching out now a building like that for that site? If you had to pick just one really controversial problem for planning right now, it would be the huge pressure on the city to break the skyline by breaking through the long-established height limit for new buildings. If any developer buys land anywhere in the city outside the centre, even close to the historic centre, then the go-to solution is to go up. One of those new towers at Axel Torv has 16 floors and taller buildings are proposed for a different development on the area immediately to the north which could involve not only demolishing the much-loved Palads Teatret at the north end of Axel Torv but also building massive towers across the top of the railway as it heads out north from the central station in what is now a wide cutting. The problem with that scheme, as with proposals for any tower building, is that it can have a huge impact on nearby buildings, by blocking views, creating shadows and funnelling wind and of course, as with the new Maersk building on the north side of the lakes, towers impose themselves by dominating the views from a wide area as they rear above the historic roof scape. Permission for a series of new towers on the site of the old post sorting offices south of the central station were delayed in the summer as people protested about concerns that they would throw a shadow over the harbour swimming baths. Even more drastic changes are proposed but one of the curious things is that although people seem to crave novelty and love the new, when push comes to shove, they are wary or very wary about change. Maybe that is the real problem for planners … people will be nostalgic when they see a sepia-coloured photograph of a long-lost streetscape or watch an old film of the city and reminisce but if you ask them what a specific building looked like after it has been demolished then they will struggle to remember. A new metro station on the square in front of the city hall is close to being completed and right now they are planting a forest … well all right … planting a glade … of trees across the site of the old bus station but I struggle to remember what that looked like. The point is that with all the new buildings and all the major planning changes that have been proposed over this year, the real need is for lively and informed public debate both before plans are finally approved but also after a new scheme is completed because it helps to be able to say why we don’t like something … not just, slightly vaguely, that we don’t like it. Some of the plans in the pipe line will change the city for ever so now is the time for people who live in Copenhagen to decide if what is proposed is actually what they want for their city five, ten, fifteen or more years from now. People in the city have a proud tradition of protest - sometimes violent - as when housing around Blågårds Plads was demolished in the 1970s or the Youth House on Jagtvej was demolished in 2006 without local consultation. Some major schemes, like the motorway down the lakes that planners proposed in the 1960s, can be abandoned when everyone, planners and citizens, realise that actually it is a bad idea, but that is rare. Other schemes get built and it's only then that people can see the impact and only then that they realise that the real problem is that buildings like that don’t get unbuilt. A new harbour bridge, Alfred Nobels Bro, was opened in the middle of December. In the south harbour, south-west of the centre, the bridge crosses Frederiksholmsløbet - a wide canal off the main harbour - and links Enghave Brygge and the area around the shopping centre of Fisketorvet - to the large area of new apartment buildings of Teglholmen. The north side of the bridge is close to the power station H C Ørsted Værket and close to the site for a new metro station. Until the excavations and work for the metro are completed in 2023, the new bridge can only be used by cyclists and pedestrians but it will then take all vehicles. This is the final link that completes the 13 kilometre circuit around the inner harbour for bikes and walkers and runners. The canal here is 90 metres wide and the bridge deck is wide with two lanes for traffic at the centre; wide lanes for bikes on both sides and wide pavements. The pavement on the side looking inwards, down the canal, is bowed outwards and has a broad single bench, with its back hard against the road, 70 metres long and with a bowed shape that follows the plan of the bridge itself. It's not clear why the bench faces down the canal rather than towards the open harbour unless the idea is that people will sit here to catch the last of the evening sun - an attempt to repeat the way that Dronning Louises Bro over the lakes to the west of the city is used as a popular place for people to sit in the evening before they head home from work. The deck is supported on pairs of concrete columns that lean outwards but the structure is so large that it can hardly be called elegant and until the new apartment buildings are completed it really would be difficult to describe the views from the bridge as attractive. The team behind the design of the bridge were COBE Architects, the engineers MOE, Arkil Holding A/S and G9 Landscape who made the mahogany bench. When there are surveys where people are asked if they are happy living in the city or town in which they live then Copenhagen comes high in the rankings. There are obvious reasons why there are high level of approval from so many in Copenhagen for their city … it is relatively compact for a capital city so it has a human scale … the climate does what it is supposed to do so it's not ridiculously cold in the winter and it's pleasantly warm in the summer … warm enough to swim in the sea from beaches nearby or the water is warm enough and clean enough to swim in the harbour … and swimming in the harbour is possible because there are no major industries that pollute the environment so clean air and clean water are further reasons for people to be happy here. There is a good railway service to other parts of the country and to get to neighbouring countries and there is a good international airport with high passenger approval ratings and it's a short metro ride from the city centre. To say that people can get out of a city quickly and easily is perhaps not the most obvious reason for people feeling content but it's certainly better than living in a city where you feel trapped or it feels remote, far from anywhere you want to be. Planners from around the world come to admire the architecture and the planning here and, in particular, come to see how and why the balance of private journeys are made by bike rather than by car … in themselves further reasons for being happy here or at least for being fitter. There are also clear economic reasons for the success of the city … it has all the financial benefits and all the facilities that come from being a capital city … so the government, international delegations, national organisations and major companies are based here and the national theatre, the national library and so on are all here … but even so it is relatively small and it is a prosperous city but still a city with a strong if understated socialist ethos so extremes of wealth are not as obvious here as in many large cities. All this is fine and has been assessed and analysed and written about in what seems like an endless number of articles but there is no simple Copenhagen ingredient … you can't take city X and add the Copenhagen factor and there you are … problems sorted. 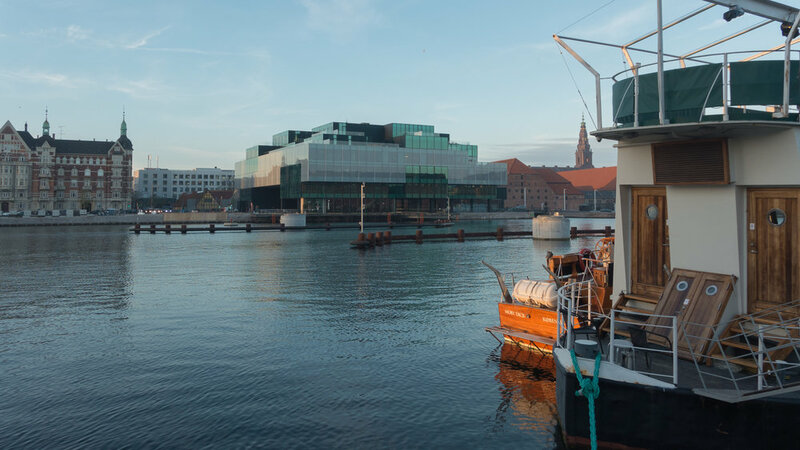 I've lived in Copenhagen for getting on for five years and I've known the city for much longer and, for me, one important factor that makes the city an amazing place to live is that it is so rich visually … or do I mean simply interesting and attractive? It's not just about obvious places like, for instance, the royal palace of Amalienborg and the Marble Church- although the square and the buildings are one of the great public spaces in Europe - but it's the quality and the good design of smaller buildings in the city and it's about the courtyards and the corners and the odd spaces where people really do think carefully about what they are doing with their buildings and with the urban landscape of their city. 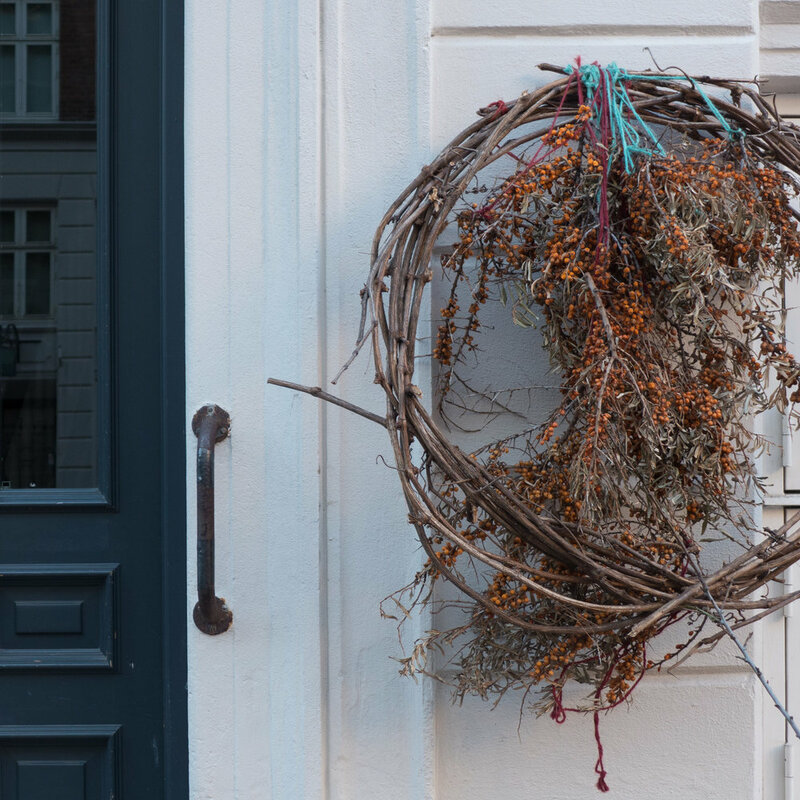 This photograph was taken a month ago, walking across from Nørrebro to get to Sankt Hans Torv - so outside the centre of the city but not far out. Along the side of Guldbergsgade - a busy street of apartment buildings and shops - some land has been divided up for community use. There is, of course, play equipment here for children but also a small zoo where, right in the middle of the city, children can see hens grubbing around and rabbits and other small animals. There are also around two dozen garden plots together along the street edge that have been allocated to local residents for growing vegetables or flowers and all have neat fencing, borders and narrow paths and a shed although to call them sheds is hardly an adequate word to describe these small summerhouses that are potting sheds and stores for tools but also a place to brew coffee and sit and watch or sit and talk and clearly reflect the character and interests of each gardener. I took a slight diversion along the narrow path between the two rows of garden plots, and paused to take the photo because for me this seems to sum up what are crucial aspects of life in Copenhagen that few academic authors seem to consider when they write about planning and the quality of life here. First this is a city where there is a strong sense of respect … the respect of people with a quiet pride in the city they live in but also a respect for property - their property, other people's property and the general public property of the city streetscape. There is some mindless vandalism but remarkably little when over a million people live together. These gardens are not in a wealthy or distinctly middle-class enclave … in fact the reputation of Nørrebro is anything but that … but people moving out onto and claiming public space is a strong and an important part of life all over the city. 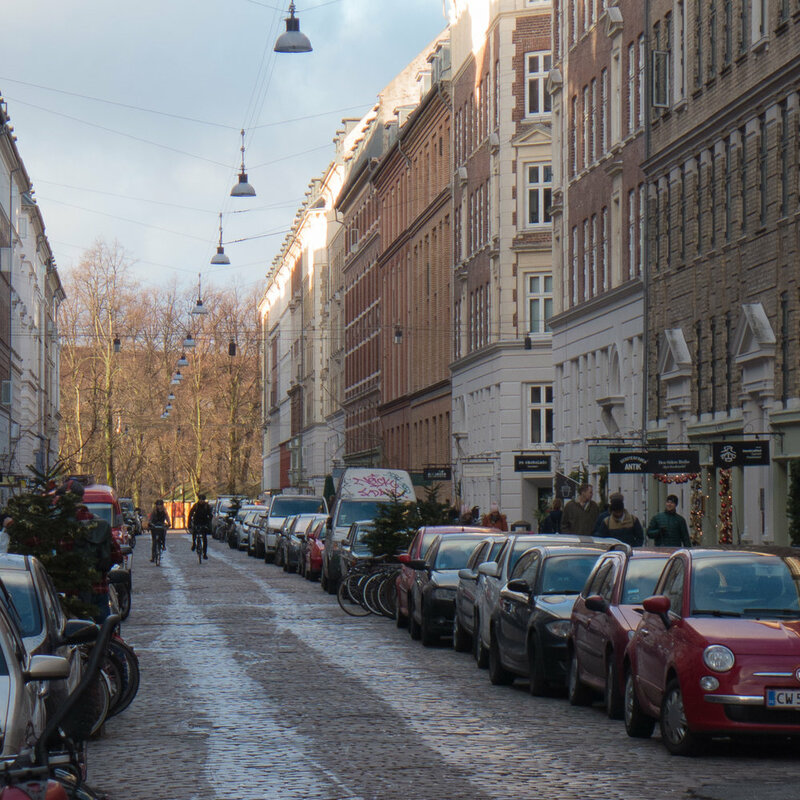 Second, and perhaps more important, is that ordinary people living in Copenhagen seem to have a strong visual sense …. here, ordinary used to mean people not working in design. People are visually aware and visually literate and that is clear here. 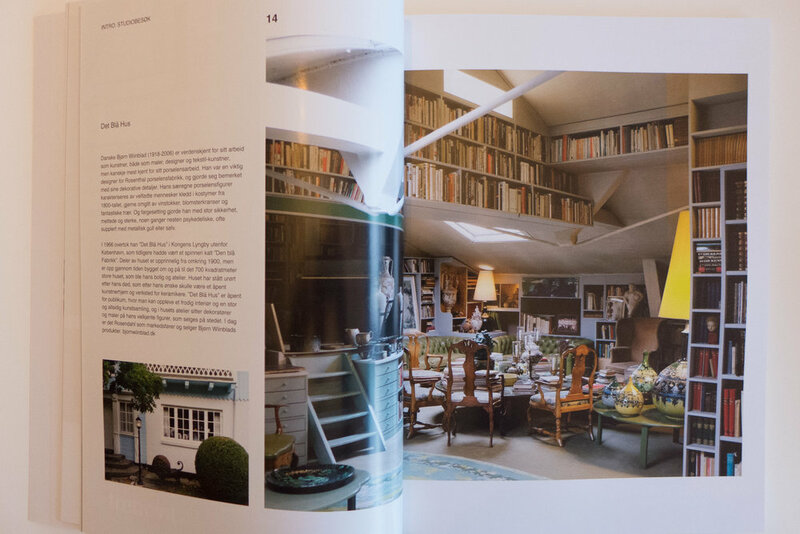 In books and magazines and guides Copenhagen is described as a design city but Milan, Paris, London and New York are design cities but could hardly be more different. In part it is because those are cities where style and fashion but also wanting to stand out or make a statement are driving factors. That's not, of course, to suggest that Copenhagen is unfashionable or unaware of fashion but visual sense here seems to be more firmly grounded: Copenhagen is a still a mercantile city where, for many many centuries, high-quality goods, made by craftsmen or by small independent companies, were and are respected; it is a city where the public face of a building or a business is important and it is a city where a good education in art and craft skills from a young age has been important in schools and through apprenticeships and technical training. 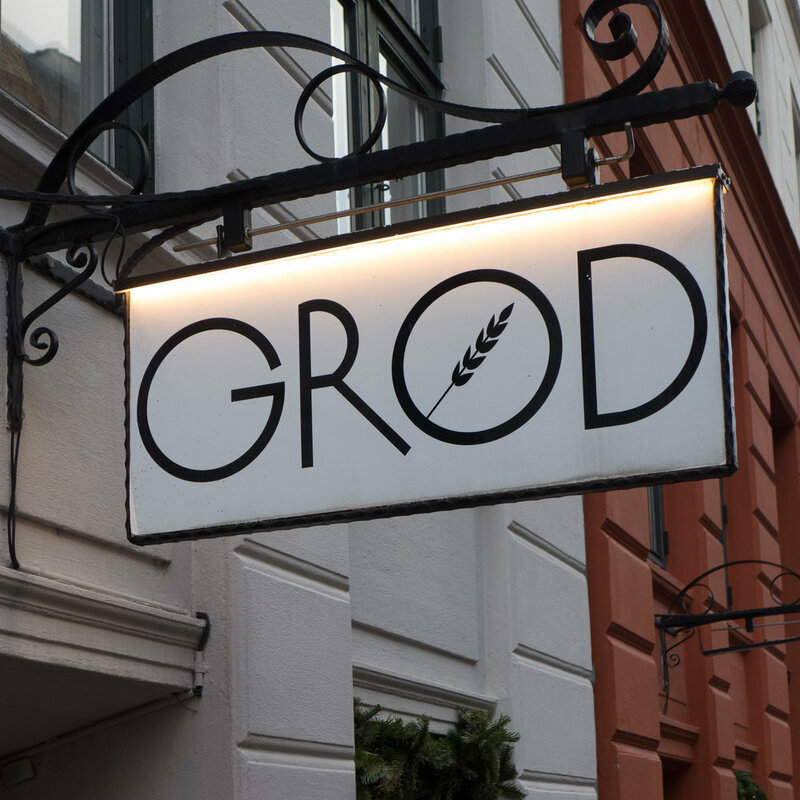 So, in Copenhagen, design is not just about architects and designers and the design industries but good design permeates many aspects of daily life. In the New Year a new occasional series of posts will look at some of these less-obvious aspects of architecture and urban planning in Copenhagen that together make it such a pleasant and attractive place to live. 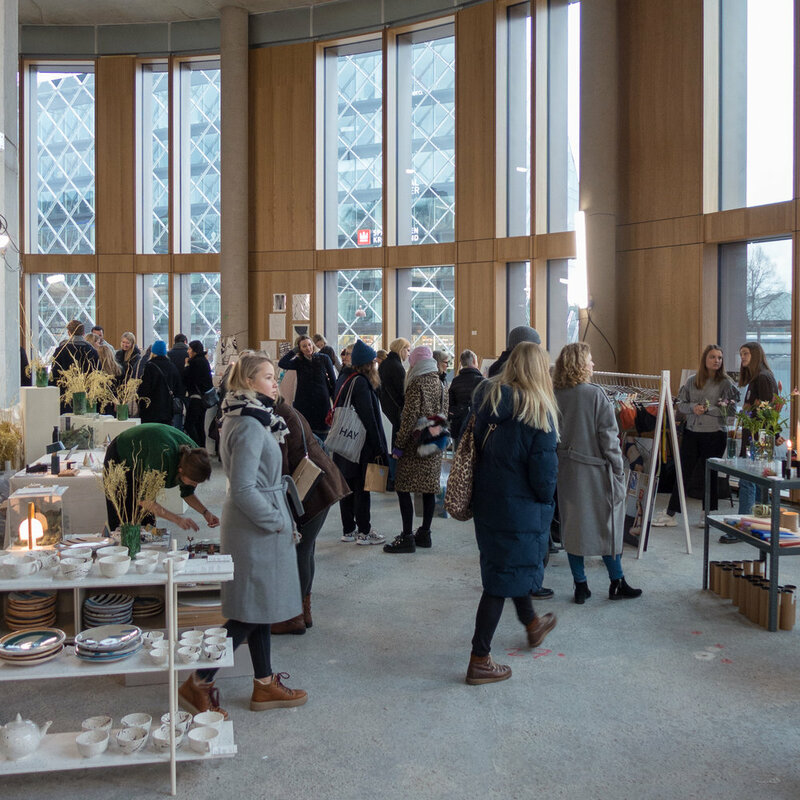 This weekend there was another design market from FindersKeepers - this time in Axel Towers - the new building across the road from the entrance to Tivoli. The market was in two parts that have not yet been occupied so it was quite a good opportunity to see inside what has been a much-talked-about development. Given that this was a main shopping weekend before Christmas there was possibly rather less furniture and more clothes and jewellery and food … hardly surprising as most people must be looking for presents rather than looking to refurnish. 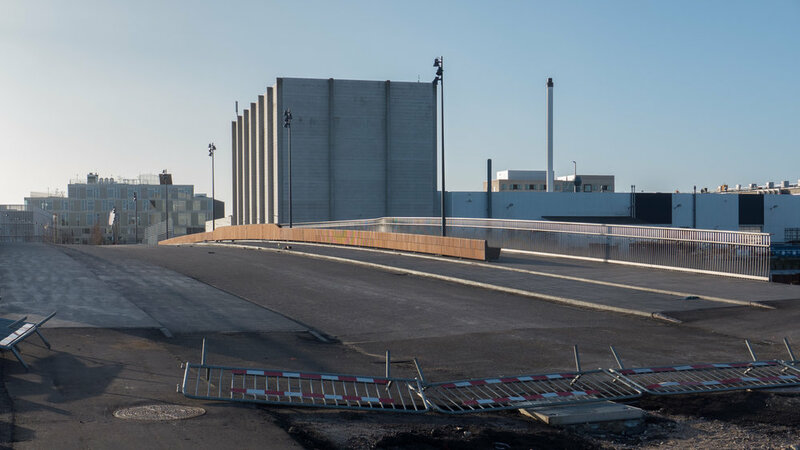 Plans have been submitted to the department of Culture and Leisure for permission to create a new museum for Langebro with a new café in the substructure of the bridge on the Amager side. There has been a bridge here since the 17th century but the present bridge designed by Kaj Gottlob was completed in 1954. 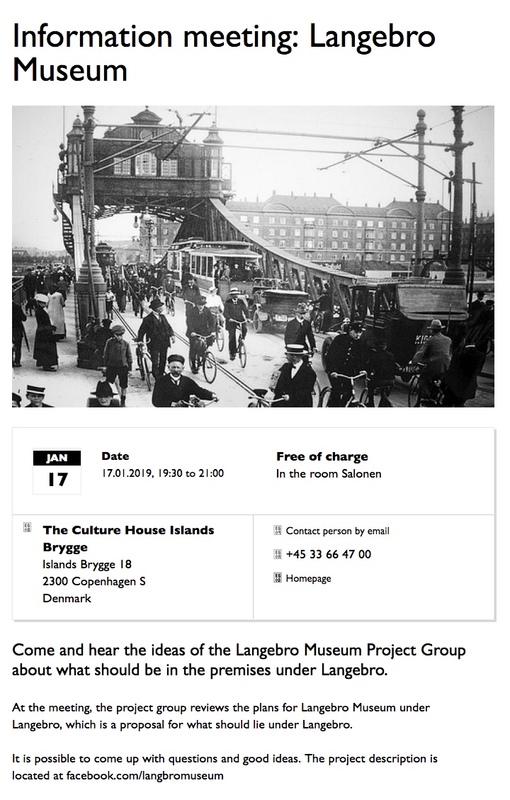 On the 17 January 2019 there will be a meeting about the bridge and the new museum at the nearby Kulturhuset down the harbour from the bridge and there is information about the bridge and about the proposed museum here. 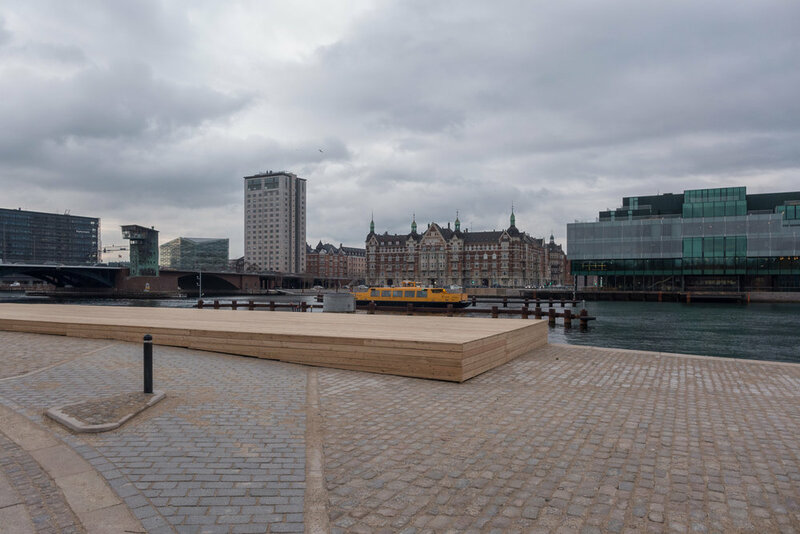 On the Christianshavn side of the harbour, the paving and the cycle route with a bollard to separate out those coming from those going have all been laid out but the base for the new bridge has been covered temporarily with timber. Round concrete piers for the bridge and the barriers to protect those piers are finished and on the far side - where the bridge lines up with the end of Vester Voldgade - next to BLOX - there are even traffic lights where cyclists will have to cross Christians Brygge - the main road with heavy traffic that runs along the quay. Again the base where the bridge lands on the city side has been covered for now with boarding. All it needs is the bridge … or rather all it needs is the remade bridge after the first version was dropped from a crane as it was being shipped from the manufacturer in the Netherlands. There was a competition to name the new bridge and the most likely name seems to be Lille Langebro or Little Long Bridge as it crosses the harbour beside the main road bridge that was built in the 1950s. 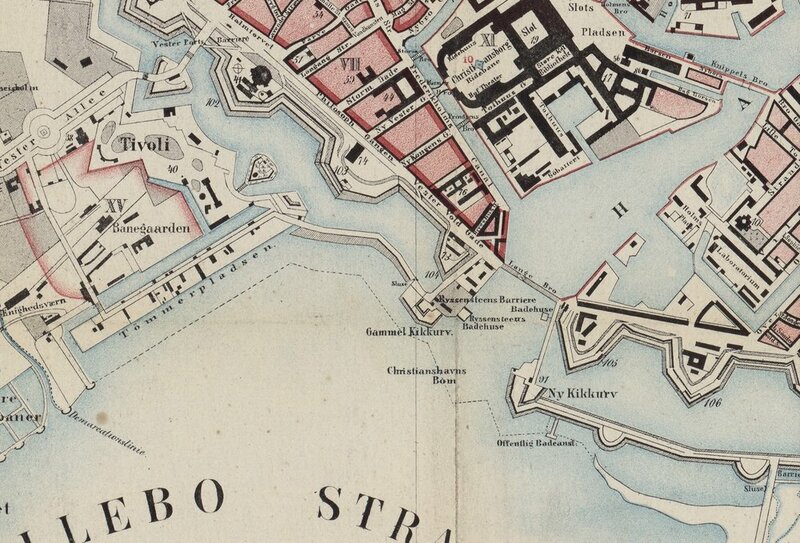 Historic maps show that the new cycle bridge is on the line of an earlier Langebro so should it be the New Old Long Bridge? When the ditches of the city defences were filled in around 1870, a line of new apartment buildings were constructed along the line of bastions on the outer side of Vester Voldgade and H C Andersens Boulevard was laid out between those buildings and the Tivoli gardens. The map below from the 1860s shows, towards the top left corner, the old west gate to the walled city in the area of the large square in front of the town hall that was built around 1900. 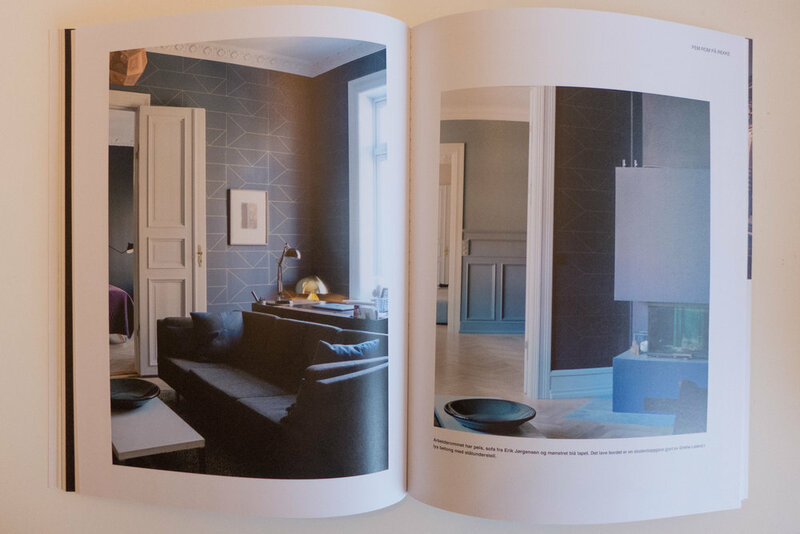 The usual good mix of short book reviews, assessments of new products and so on with longer articles on a number of interiors including a review of the Hotel Sanders in Copenhagen. 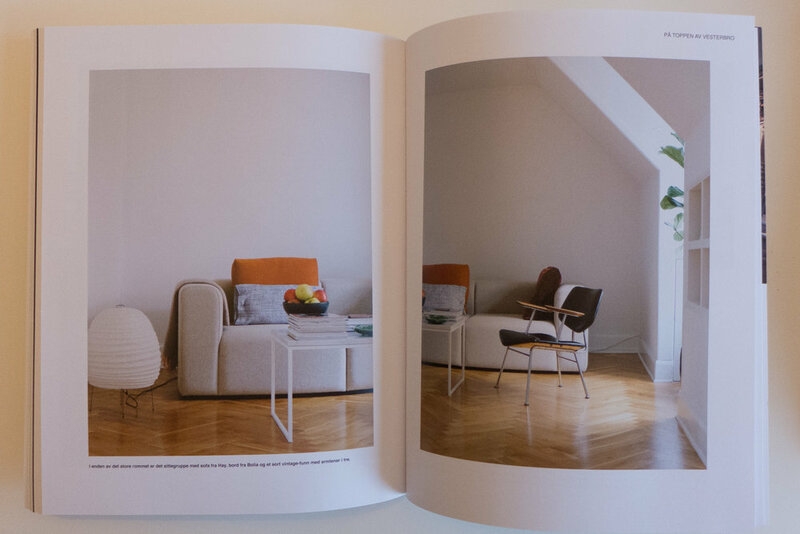 This is called the Warm Modern Issue and looks at a distinct trend in Scandinavian interiors, identified as moving away from the simple uncluttered or even slightly spartan rooms - the white walls, undecorated furniture in bold shapes and bare wood floors usually associated with design from the region - to rooms that have more in them and reflect the individual. In the editor's phrase "confident personality and comfort, heavy curtains and big sofas, dark veneer panels, décor, colours and chairs not necessarily from a well-known designer." Hotel Sanders, just off Kongens Nytorv in Copenhagen, certainly has a mixture of furniture of different styles and periods and a lot of books and ornaments and Det Blå Hus / The Blue House in Kongens Lyngby north of Copenhagen has an extraordinary room with books stacked high up into the roof space. An older apartment in Oslo by the architects Grethe Løland and Harald Martin Gjøvåg has walls painted mainly in blue in various shades from mid blue to midnight that gives them a good background for a range of classic mid-century and modern furniture. Any heaviness in using such a strong palette of colours is offset by lighter woodwork - particularly dado panels - and by ornate white plaster ceilings. 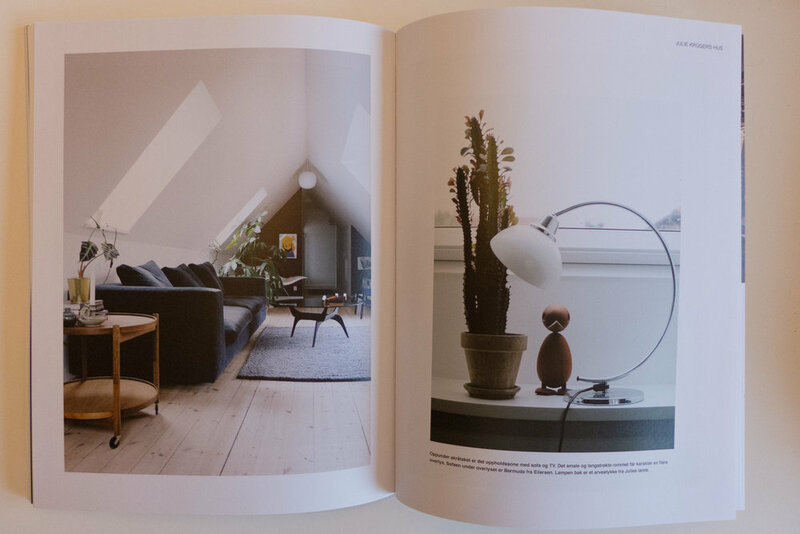 There are plenty of simple and uncluttered interiors and even some interiors with plain wood boarding in this edition of the magazine if you are still not ready to move across to the idea of more dramatic and moody Scandinavian interiors. Pantone Color Institute has just announced their colour for 2019 and it is or, to be accurate, it will be Living Coral. The Institute is a unit within Pantone that "highlights top seasonal runway colors, forecasts global color trends, and advises companies on color for product and brand visual identity." This is where, I have to confess, I'm out of my depth. I understand fairly well the role of colour in architecture and furniture design and I admire and appreciate architects and designers who have an astute sense of colour and express that in their own work. I can see also that certain colours come into fashion and certain colours become associated with a designer or a period and some colours drop from wider favour. But is that all too rational? Can there really be a zeitgeist tone? Can there be a spontaneous decision by enough people to find a ubiquitous colour that works for most in most situations now but then next year doesn't? Even Pantone suggest that they chose the colour of the year by looking at trends so maybe it's more about reaching peak Coral next year from a slow start but accelerating the build up of demand. To be cynical is it simply about trying to herd consumers towards a colour? Or does a choice of colour still always come down to personal taste? … Though even using that word taste means stomping onto a minefield because it is loaded with the implication that if there is good taste then what is bad taste and who has bad taste and who is to arbitrate? Or is it better to talk about someone of limited or restricted taste? And of course personal taste in colour or, rather, having singular and peculiar taste in colour is fine if you design and make and dye or paint for yourself but more difficult if you buy something when choice is limited to what is available. Good taste or bad taste and how we react to colour is incredibly complex … our choices of colour for our clothes or for objects for our own homes can be because they remind us, in a good way, of events and people and things from our past while our reaction to colours we don't like are often because of their association with objects that have triggered an inexplicable prejudice. I really don't like lime green (except on a lime) and I'm not keen on scarlet but have no idea why. It might be simply that I find it difficult to understand a colour chosen just for one year because I write about furniture makers and architects so about work with a longer time frame … few of us repaint and refurnish our homes completely every Spring … although, sometimes, I wish some architects would remember that people will be looking at their buildings for the next forty or fifty or more years because then they might not have chosen that colour. Maybe it's just that I don't understand the fashion industry or at least the part that focuses on producing today what you will want tomorrow to replace what you wore yesterday. Maybe I can't get my head around the idea of a colour of the year because although I like well-made clothes and although I do know that certain shapes of shirt collar or width of trouser leg show everyone I've had some clothes too long, I suspect it's more to do with me being more interested in materials and textures and for furniture and clothes, that means natural materials like wool and linen and in natural colours … or at least colours pretending to be natural colours. Yup I'm staid and boring but I will keep an eye open for anything that appears over the coming months in Living Coral but don't be surprised if I'm still only wearing black and grey as we hit 2020 and the next Pantone colour of the year. Over the last few years I've made a note of each Pantone colour and filed away a swatch and thought about writing a post but then changed my mind worried that it was getting into dangerous territory including having to think about taste and fashion. To be honest I actually quite like Living Coral … sort of warm and keeping the right side of brash … not that I can see me wearing it or sitting on it or eating off it. 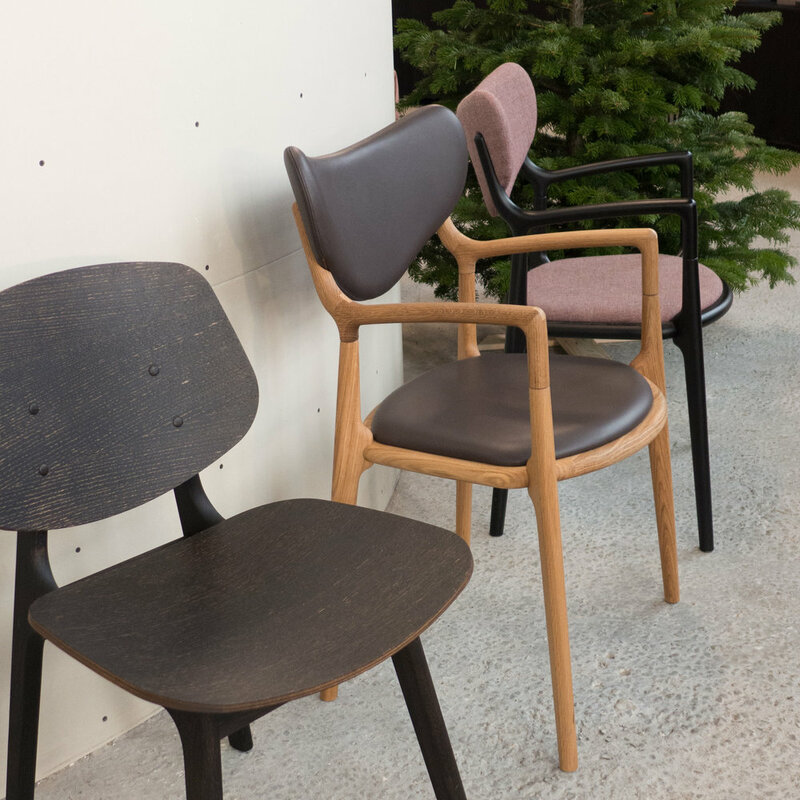 Ole and Monika Paustian opened their first furniture store in 1964 in Vesterbrogade in Copenhagen but in 1987 Paustian moved out to Nordhavn - to the North Harbour - to a building designed for them by Jørn Utzon. 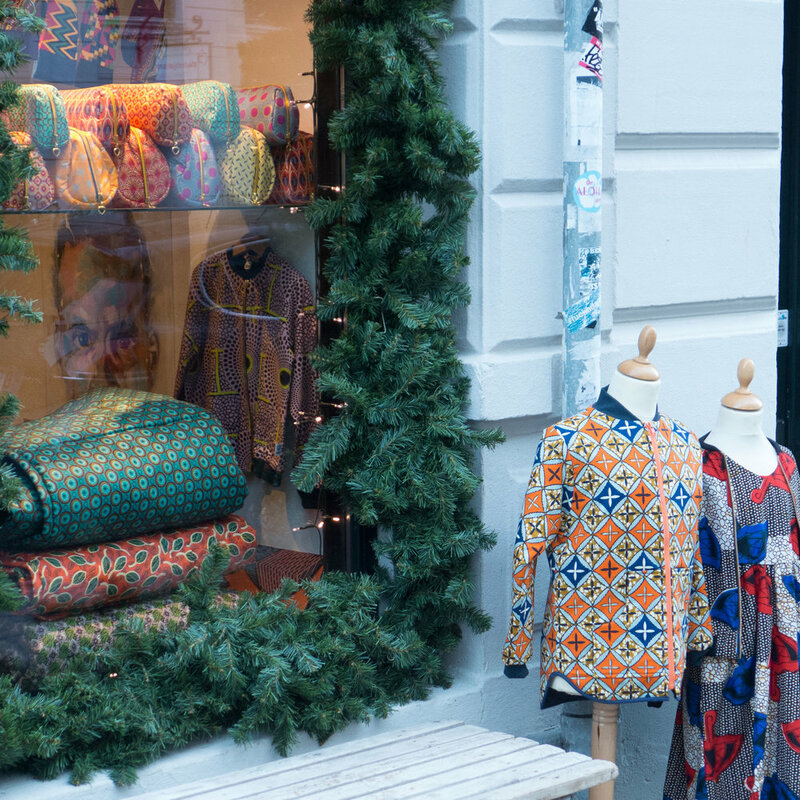 There are now also Paustian stores in Aarhus but at the beginning of this month the company opened a second store in Copenhagen so Paustian are now back in the city centre at Niels Hemmingsens Gade 24 - close to Strøget - the famous Walking Street. The store is called V/Strøget. Just head for the large church at about the mid point of the Walking Street and Niels Hemmingsens Gade runs back along the right-hand side of the churchyard with the new Paustian store one block back in a large and dramatic building on the corner overlooking the church in a former bank that dates from the 1860s. Many of the fittings from the bank have been retained - including the high vaulted ceilings of the banking hall supported on elegant fluted Corinthian columns and there is hefty woodwork for panelled doors to the offices that were around the banking hall. However, it is the huge steel doors of the bank vaults and blocks of safe deposit boxes that are a real talking point. In some areas, walls are lined with marble and in a labyrinth of spaces you begin to wonder if the builders had somehow broken through a wall and into a Turkish bath house next door. The Paustian store at Nordhavn is the epitome of Scandinavian cool … calm and rational with an excellent restaurant and views out over the yacht marina. The new store could hardly be different. With walls in some parts painted deep blue and with amazing lighting and irrational spaces where you suddenly come across steep narrow staircases leading to catacomb-like rooms. This is about Danish drama … not exactly design noir to pair with the Scandi noir of film and TV but certainly much more about the potential mood of an interior. 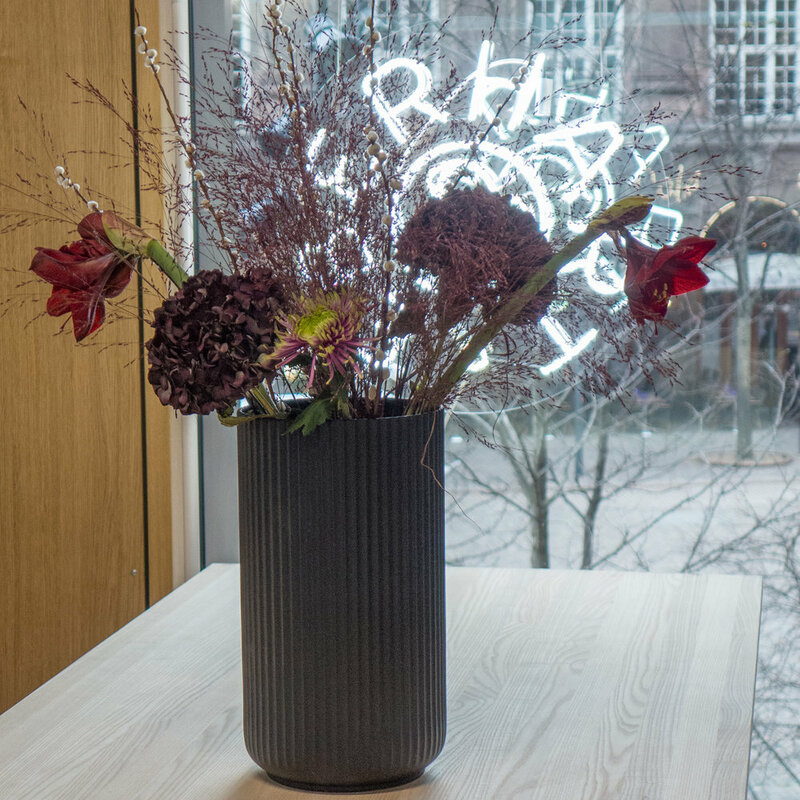 As out at Nordhavn, Paustian here will mix the best of International furniture with the best of Danish design but there is clearly a plan to attract more general customers with selections of gifts and carefully chosen books and cosmetics and so on. 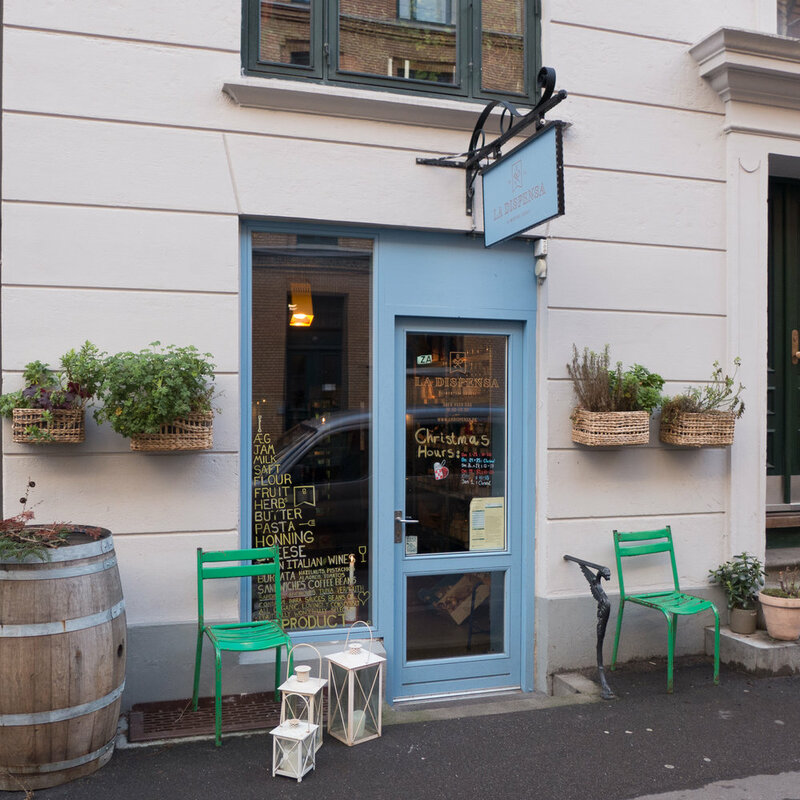 There is not a restaurant within the store but there is a bar from Mikkeller. If the Paustian store at Nordhavn has any drawbacks it has been, until now, rather out of the run of things although other Danish design companies that moved into Pakhus 48 - a hike across the building works for the metro and for new apartment buildings - have kept it company for a while although the new metro line, when it opens next year, will make it a much easier trip. But Paustian is not just back in the city after almost thirty years but, almost overnight, or at least that is how it feels, this large city block - until a few a couple of years ago the main central post office - has been transformed into the up-market hub for the very best of Danish furniture … The Republic of Fritz Hansen are in the adjoining building and Fredericia are at the top of one of the building in the block so close neighbours. The next and an important stage of construction work, will come as the refurbishment of all these buildings is completed because developers, planners and the city have agreed that narrow streets on either side of the block - Løvestræde and Valkendorfsgade that run back from the main pedestrian street of Købmagergade - will be closed to through traffic and all spaces for parking cars will be removed to extend the pedestrian area. Surely the consequence will be more people walking through - more footfall - and the smaller properties on the sides of these streets facing towards the post-office block have new opportunities to attract in these new customers for this new design quarter. Scaffolding on the new showroom and offices of Luis Poulsen has been taken down although some work is ongoing in the courtyard and on the neighbouring range that faces across to Paper Island. This new home for Louis Poulsen provides them with design and office space but there are also areas for meetings with commercial customers and architects but, as with the old showrooms on Gammel Strand, visitors can see the displays of lighting. The high ground-floor space of this important 18th century warehouse was built to store supplies for the navy and has massive posts and beams. Apparently, it was a warehouse for salt beef so has the timber been painted white from the start? Certainly a coating with a wash of lime would have kept back mould. In the showroom there are displays and information panels about the designers who have worked with Louis Poulsen including a small exhibition about the designer Poul Henningsen whose large Koglen or Artichoke Lamp was designed in 1958 for the pavilion on the Langelinie promenade so this year is its 60th anniversary. Koglen / The Artichoke was designed in 1958 for the then newly rebuilt pavilion on the Langelinie promenade. There are 72 leaves or petals to the light arranged in 12 lines of overlapping leaves or petals of graded size diminishing from top to bottom and angled out and down to control the light and obscure the light source to cut out glare. With four sizes - of which the largest has a diameter of 840 mm and is 720 mm high with a weight close to 28 kilo - the lights have a dramatic impact - even in the largest space. 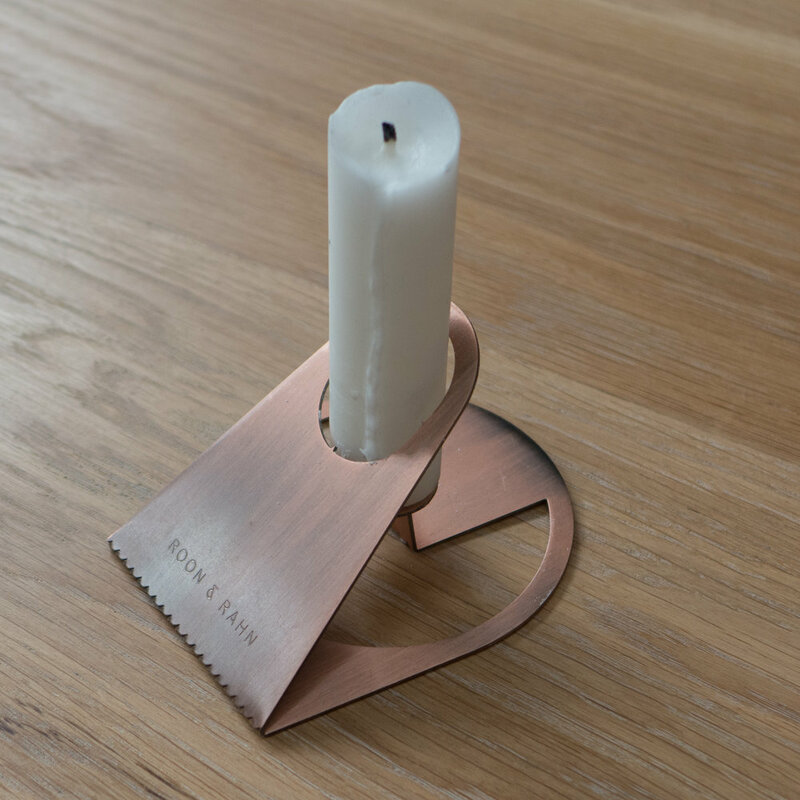 The original lights had a copper finish although options now include versions painted white or with leaves in polished steel and, to mark the anniversary, there is a numbered edition in brushed brass. If you did a headcount - even if it would be for a rather odd census - then it's possible that the Pavilion on the Langelinie Promenade is seen but ignored by more tourists than any other prominent building in Copenhagen and simply because they are intent in their route march there and their route march back to see Den Lille Havfrue - the Little Mermaid - on the foreshore just beyond the pavilion. However, the pavilion has an odd and complicated and fascinating history that should be better known … particularly as, but not just because, this year is the 60th anniversary year of the present building. Langeliniepavillonen is on the site of a water gate on the outer defences of Kastellet … the 17th-century fortress that guarded the approach to the harbour from the sound from the north. By the late 19th century, although there was still a garrison in Kastellet, the main defences had been established further out at Charlottenlund, some 6 kilometres to the north beyond Hellerup, and this thin strip of land between the sound and the outer water-filled defence of the fortress was used by the worthy citizens of Copenhagen as a promenade. The first pavilion here, built in 1885, was designed by Vilhelm Dahlerup for Dansk Forening for Lystsejlads (the Danish organisation for boating) but that was replaced in 1902 by a pavilion designed by Fritz Koch that included facilities for Kongelig Dansk Yachtklub (the royal Danish yacht club). This was a popular destination for citizens just beyond gardens with sculptures and a walk could continue on to the long wide promenade along the sea side of the Langlelinie Kaj that had been built at the beginning of the 20th century as the outer quay of the new Free Port. The pavilion was shelled and destroyed by the Germans in 1944 and it was not until 1954 that a competition was held to design a new pavilion. The chosen design was by Eva and Nils Koppel and the new pavilion was completed by 1958. It is a slightly strange building … or at least it is strange for the location … starkly modern and of its period, so much closer in style and details of glazing and fittings to the contemporary design of the SAS Hotel by Arne Jacobsen than it was to the ornate pavilion it replaced that had polygonal end towers and ornate domes. There were large dining rooms in a huge low square box raised up and cantilevered out on all four sides over a lower floor containing the entrance and service rooms. A service road cuts under the sea side but with the room above connecting across to a terrace and the promenade walk. These public rooms had huge windows that look out over the sea or look across the outer water and banks of the defences of Kastellet. A photograph of the dining room taken in 1959 shows the large lamps - the Koglen or Artichoke lamp designed for this building by Poul Henningsen. 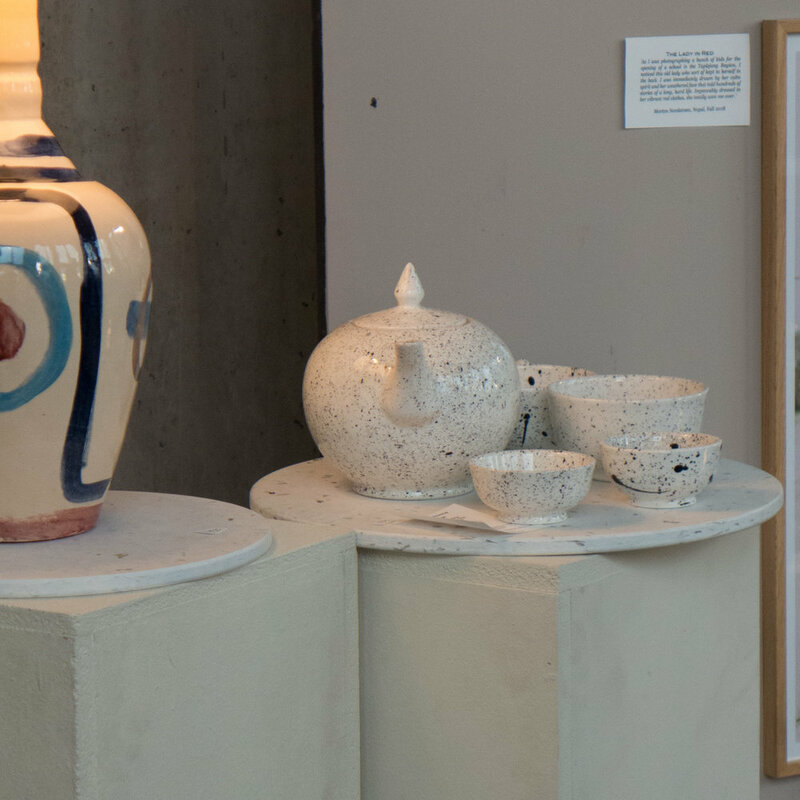 The current exhibition at the Danish Architecture Centre on the work of Jørn Utzon has a model and a reconstruction of the design that Utzon submitted for the competition for a new pavilion. He proposed an amazing pagoda with outer walls of glass and the floors springing out from a central stem with staircases and lifts. 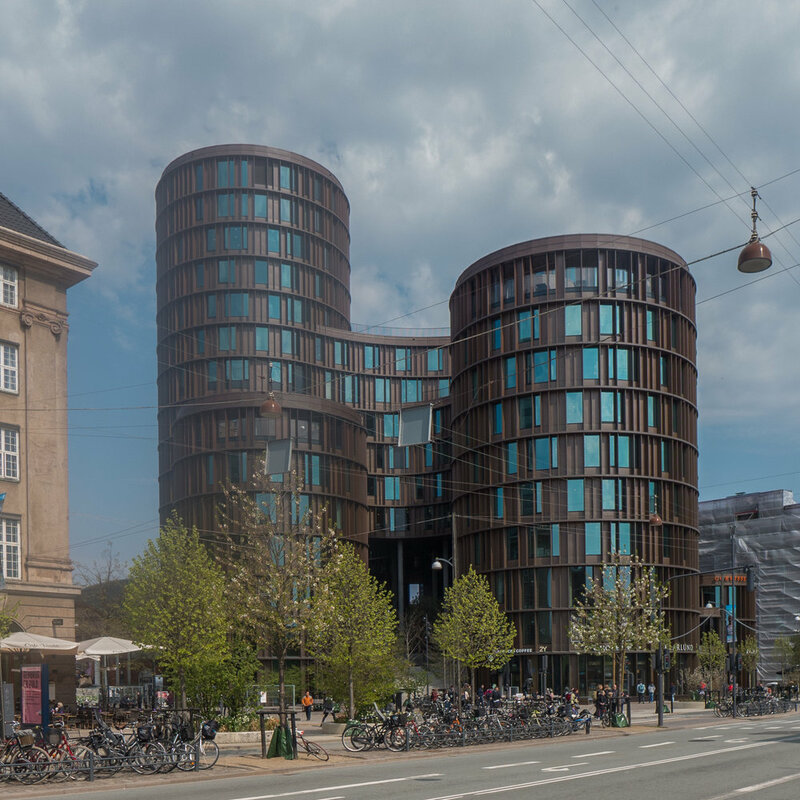 Surely his design has to be one of the most intriguing and spectacular buildings of unbuilt Copenhagen … those buildings for the city that did not get beyond the architects drawings. Just two weeks away from the shortest day and there’s definitely a strong temptation to hibernate but even at this time of year the light across the city can be amazing …. this was Knippelsbro this afternoon as I headed home to Christanshavn.